On Thursday, September 29, 4:30pm PT / 6:30pm CT / 7:30pm ET— ITVS Community Cinema, Ladies Home Journal, THIRTEEN, and Fork Films will present an exclusive online preview screening of Women War & Peace on ITVS’s Livestream channel in advance of its television premiere on PBS. The film is the first broadcast in ITVS&apos;s Women and Girls Lead initiative. On Thursday, September 29, 6:30 PM CT, ITVS Community Cinema, Ladies Home Journal, THIRTEEN, and Fork Films will present an exclusive online screening of Women War & Peace on ITVS’s Livestream channel in advance of its television premiere on PBS. The screening will be followed by an online panel discussion with producer Abigail E. Disney and director Gini Reticker. Online participants will receive an opportunity to ask questions and discuss their reactions to the selected scenes with the filmmakers to learn how women, despite suffering unprecedented casualties, are simultaneously emerging as critical partners in brokering peace and as leaders in forging new international laws governing conflict. The half hour online screening will feature Women, War & Peace Episode 3: Peace Unveiled. When the U.S. troop surge was announced in late 2009, women in Afghanistan knew that the ground was being laid for peace talks with the Taliban. Peace Unveiled follows three women who immediately began to organize to make sure that women’s rights don’t get traded away in the deal. Narrated by Tilda Swinton, Peace Unveiled premieres October 25, 2011 at 10 PM ET on PBS. Women, War & Peace is the first broadcast of Women and Girls Lead, a three-year public media initiative designed to focus, educate, and connect women, girls, and their allies across the globe to address the challenges of the 21st century. Filmed in conflict zones in Afghanistan, Bosnia, Colombia, and Liberia; with narration by actors Matt Damon, Geena Davis, Tilda Swinton and Alfre Woodard; Women, War & Peace premieres Tuesdays, October 11, 18, 25 and November 1 and 8 at 10 PM ET on PBS (check local listings). 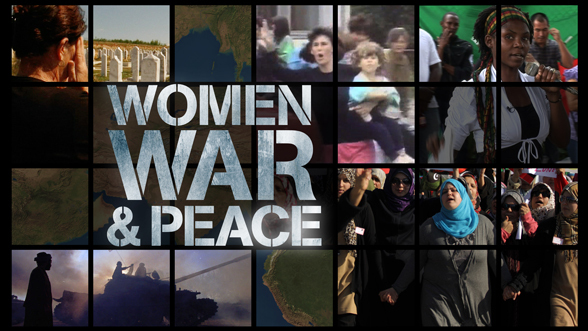 Women, War & Peace is a co-production of THIRTEEN and Fork Films in association with WNET and ITVS.